Would you believe this? The number of people accessing the web through their mobile phones has doubled from last year and at present; 22 million people search the net for various reasons everyday. WOW! That is an awesome number and it promises to grow exponentially with each passing day with most of the mobiles today being Internet ready. Though most of the browsing is at present limited to emailing and going to social networking sites, people look for other things also and there is no reason to believe that mobile browsing is the next big thing in Internet. Most of the websites and blogs today on the net were not designed to accommodate for mobile browsing and this is what you should keep in mind when starting a blog on the net. The most important things to consider are the site design and the manner in which a mobile user should find his way to your site. No, you do not have to design a separate site, but there are certain changes that you need to incorporate in your blog design to accommodate users from the mobile world. 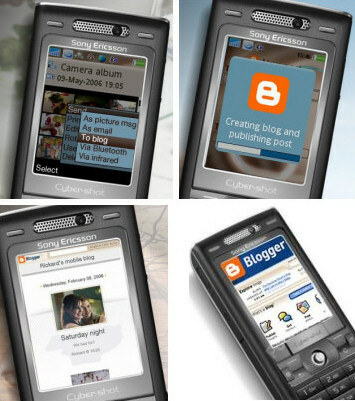 Not all mobile phones are as smart as Blackberry an iPhone, and this is why you should make your blog accessible to all basic phones allowing net browsing. Cascading Style Sheet or CSS is one thing that is important for all bloggers to attach as it ensures they are available even on mobile phones when searched. This CSS gives specific instructions to the mobile browser. You only get 2-3 inches of display and so forget about fonts and styling, and colors too. Keep basic formats for fonts and remove all images unless you feel they are absolutely necessary. Just focus on the text and remove all advertising too. Background colors take up too much space, and so keep the background white with basic back text on it. Avoid using Java, Flash or other plug-ins if they are not necessary. After all, you have to make sure your readers get to see the text which is most important. Choose a code for your blog that keeps it clean as mobile browsers do not appreciate invalid codes. W3C’s Web Accessibility initiative makes it possible for all mobile users to get to your page irrespective of their device. Keep the text simple and use small headlines to keep the mobile user glued to the page. Next articleSEO Or Social Network Traffic: Which Is Better For Your Blog?